As soon as we arrived in Carlsbad, California, our first stop was the market to stock up on fresh eats for the week. 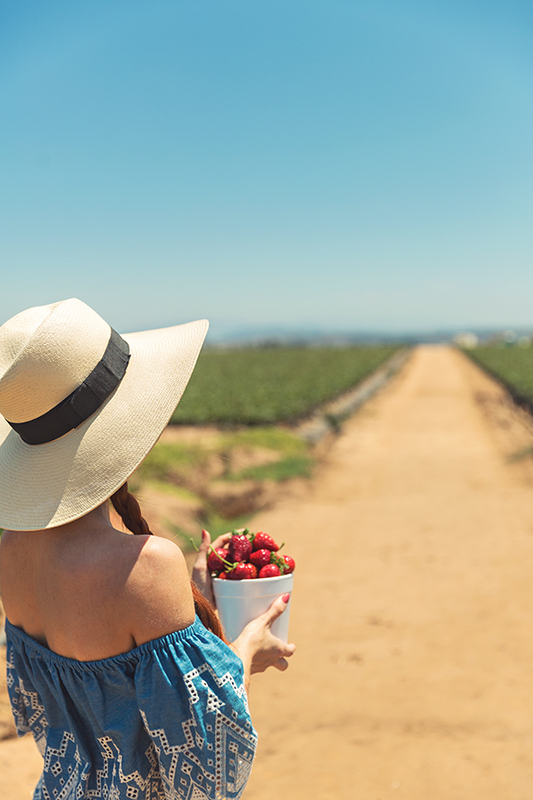 If you’ve ever been to Southern Cali, then you know how incredibly sweet and delicious the fresh fruit is in the this part of the country. I thought, what better way to stock up of fruits for the week than to go pick it yourself! 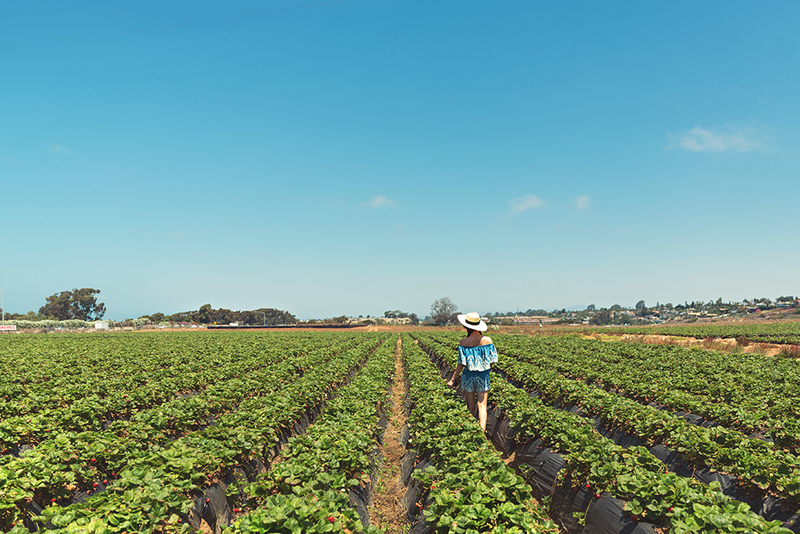 Carlsbad has an amazing strawberry company that lets you come pick their ripe, sweet strawberries to your heart’s content. There are acres and rows as far as the eye can see! The strawberry fields were like a kind of heaven. 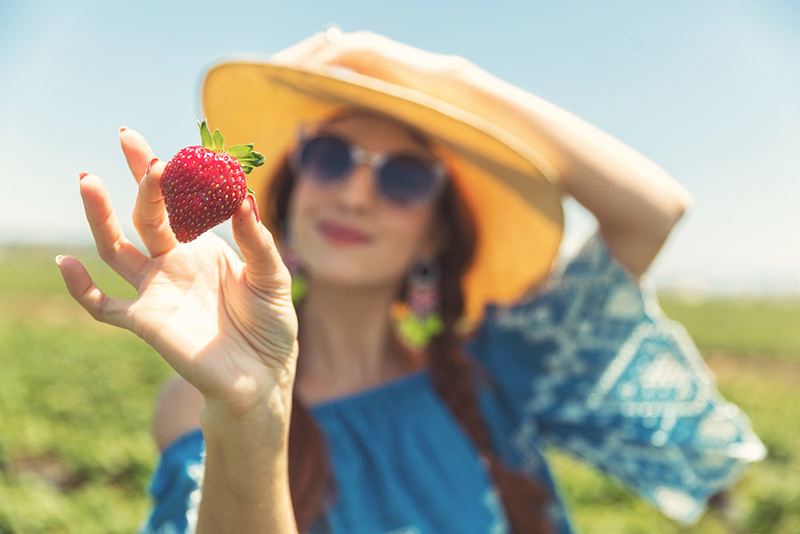 Each berry was juicier and sweeter than the last. I ate more than I was able to take home and my hands and face were sticky from the yummy goodness. 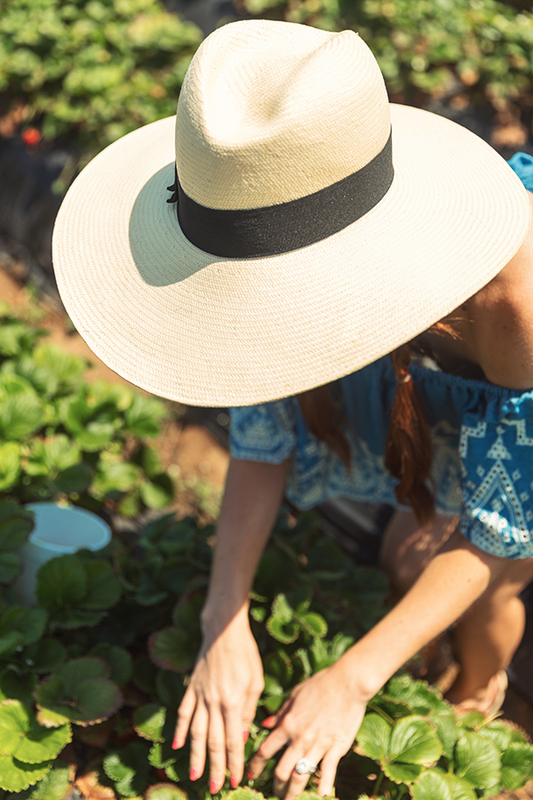 I haven’t picked strawberries since growing up on our family farm and I was overwhelmed with nostalgia! Scroll below and check out this adorable chambray off the shoulder romper set! This is the CUTEST find of the summer and you are going to FLIP OUT when you see the price! It is on clearance for $20 a piece!! (A complete steal!) Both pieces are fabulous worn together or separate. I’d dare say it is the best $40 you could spend this summer! I’m telling you, do not miss out on this. 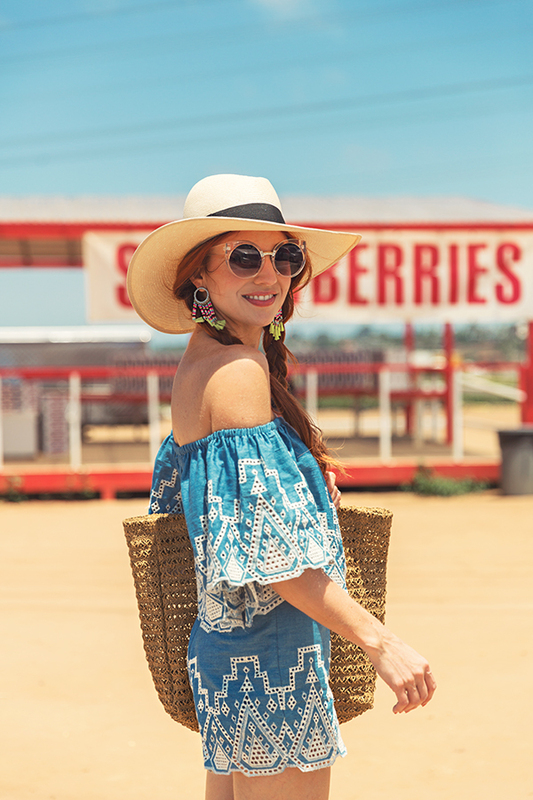 Hat | My Fave Wide Brimmed Panama Hat… OR for a more country look, try this super cute hat for $9! More adventures coming your way soon! And don’t forget to check out the incredible Nordstrom Anniversary Sale HERE before it’s over! Don’t miss this once a year opportunity, seriously!